Branded flash drives came out as the top product in a BPMA (British Promotional Merchandise Association) survey conducted in 2010/2011. 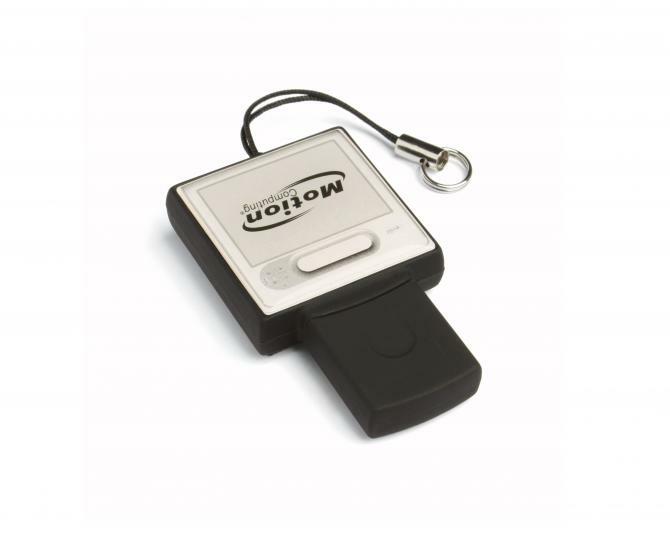 They were found to be what people considered the most useful promotional item they had received. 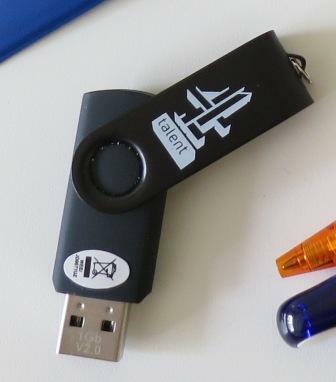 USB flash drives are data storage devices used in a similar way to floppy disks or CD ROMS, for storing, backing up and transferring computer data files. They contain flash memory (which can retain data without being powered and also be erased and reprogrammed) and a USB (Universal serial bus) interface or plug. 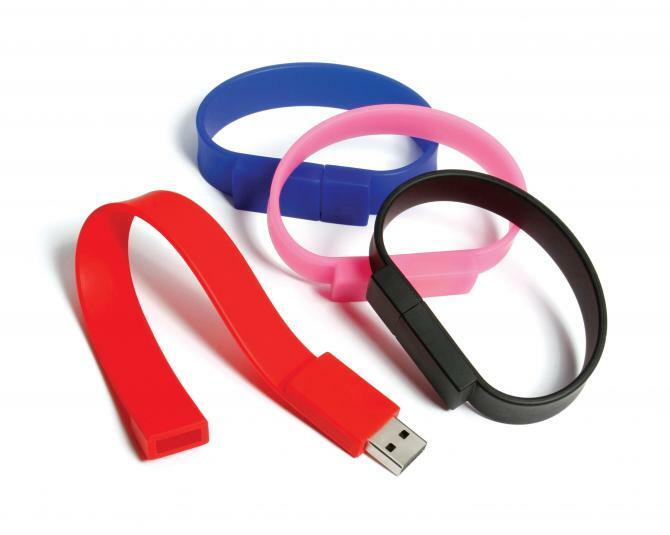 What Makes Branded Flash Drives Perfect Promotional Products? The reality is that our offices can be practically anywhere, from an armchair in your favourite coffee shop, to a commuter train, or even the beach. 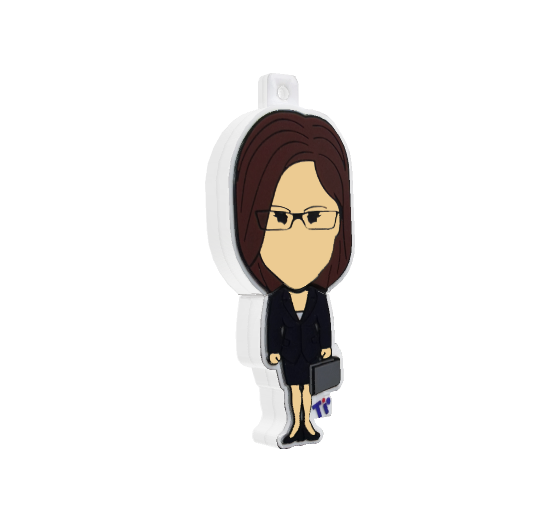 Promotional branded flash drives are so quick and convenient to use for storing and backing up those important documents such as spreadsheets, PDFs, PowerPoint documents and other files. Along with the mobile phone, laptop and iPad or tablet, they are perceived by many as being one of their essential gadgets, both for business and personal use. What Memory Size Should I Go For? I recommend buying flash drives with the largest memory capacity, bearing in mind quantity required your price budget. Flash memory sizes of up to 256GB are available and storage capacities of up to 2 Terabytes (2048GB) are planned by manufacturers. Buyers of promotional branded flash drives currently favour memory sizes of between 1GB and 8GB, this being generally determined by quantity required and allocated budget. Larger memory will naturally become more popular as the market price decreases over time and smaller modules are phased out. Most memory modules are manufactured in the Far East and South East Asia. Various quality grades of memory are available, the best being ‘A’ Grade modules, which will be serial numbered, enabling traceability should there ever be a problem. Buying lower grade memory may save you a little on the cost, however these could be less reliable, which could ultimately reflect badly on your brand. Flash memory is a commodity traded on the world markets and therefore subject to daily price fluctuations due to market conditions and demand for flash memory. Price is also determined by memory size, shell design and personalisation method. Suppliers may only be able to guarantee quoted prices for between 3 and 5 days. Typical cost for 1GB to 8GB capacity branded flash drives are between £2.50 and £10.00 ($4.00 - $15.00) per unit for 100 to 500 units. Which Is The Best Design Of Flash Drive? The majority of flash drives are very similar inside, being a memory module connected to a USB plug. What makes them individually different is the outer casing or shell. Each model has its own unique features. Some have lids, some slide, some twist and some are concealed in a wristband or clip onto a lanyard, some will even light up. Lead-time: 1 or 2 weeks - you will usually need to choose from an off the shelf stock range. With 3 to 4 weeks available then the full range should be available except for custom made shapes. Particular model features, shapes and colours that reflect your brand effectively. Colour availability. Some models can be colour matched, often from low minimum quantities. Custom Designed Shaped Flash Drives. Moulded PVC or silicone is an ideal solution, with minimum orders of around 250 units. There is often an initial charge for the special shape mould, however your logo can be incorporated within the shape which makes them absolutely unique for you. You could even reproduce a miniature of an item that your company manufactures, perhaps a tool or machine for example, this is the perfect way to create your branded flash drives. How Are Flash Drives Personalised? Laser engraving. Very effective on metal or wooden surfaces. Perfect where each flash drive needs to be individually named or numbered. Ideal for logos where no colour is required, just a subtle and stylish finish. However if you want your logo to be bold and obvious go for one of the printed options. Digital print. Ideal for multi colour and full colour logos. Often printed on self adhesive material (typically vinyl) finished with an epoxy resin dome applied which improves print durability and gives a bright, tactile effect. Often called a bubble badge or domed label. Essential details to include in your artwork: company name, logo, website and phone number, are perfect. Add an email address if sufficient space available. Perhaps spread details over each side, along with logo, if space allows. With larger models, like the credit card, try an image of one of your products, or key facts about your organisation, along with your contact details. How Long Do Promotional Flash Drives Take To Manufacture? Most branded flash drives are assembled and personalised in China. Memory sticks being light and compact are easy to transport by air, therefore enabling lead-times for most orders to be around 3 to 4 weeks (100 to 5000 units). Larger orders of 10000 units and above can take slightly longer. Can I Pre-load Videos, Documents and Data Files Onto My Flash Drives? This is an ideal way to distribute your latest corporate video, new brochure, price lists, conference notes or instruction and training manuals. 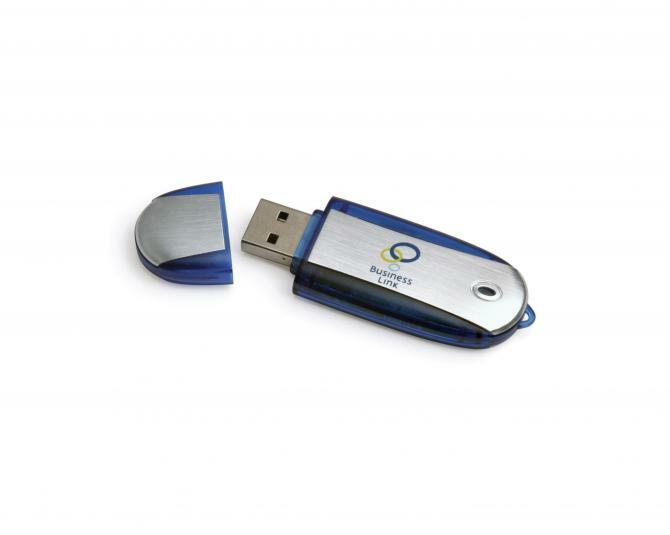 Practically any digital file can be uploaded onto your branded flash drives. Bio systems company event/conference for surgeons – gave delegates flash drives preloaded with PDF documents about suggested best practice techniques to be used in histopathology laboratories and how to avoid certain common problems. They also included a hyperlink to their company website. Training and consultancy service company dealing with crisis and emergency management and managing corporate risk - conference delegates were given flash drives preloaded with corporate summary PDF and corporate video. 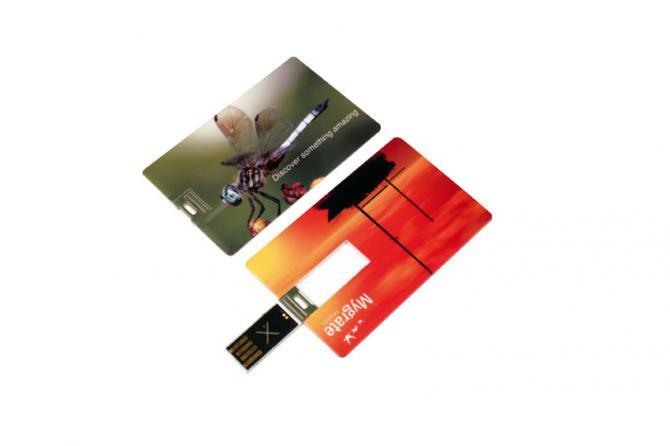 Manufacturing company supplying cargo securing equipment – used a branded credit card flash drive as an alternative sales executive business card. These were preloaded with a PowerPoint slideshow presentation about the company. Practical, functional and durable with no small lid or parts to lose. Good print area. Ideal for most promotions. Personalised with screen-print, laser engraving or full colour logo with a digitally printed bubble dome. Credit card flash drive: typically plastic but can be finished with aluminium panels. Large print area, usually both sides. Laser engraved or printed up to full colour. Novelty and custom moulded PVC flash drives. Make yourself stand out with something specially made to your exact design. Alternatively fun characters such as USB people which are based around professions such as pilot, doctor, policeman, construction worker, delivery driver and handyman, as well as many other professions. Tiny Idols based on favourites from the world or TV, film, music and sport or Corporate Stars which are business related figures. Both of these items can also be custom designed. Regarding artwork: keep it clear, uncluttered and visually interesting, it is more likely to be read. 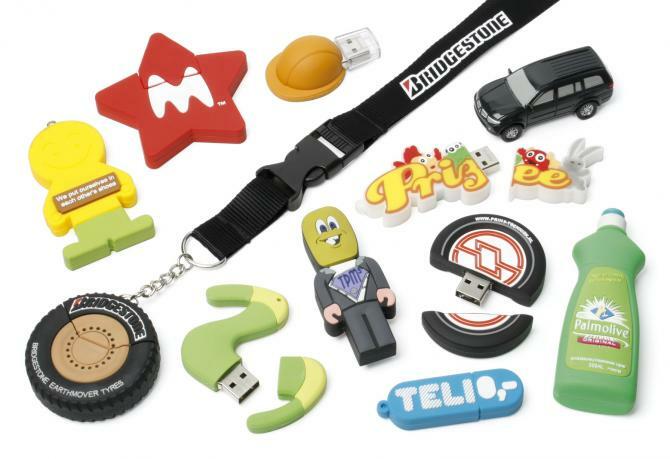 Branded flash drives provide a perfect win-win marketing opportunity. A highly desirable and practical gift for clients, as well as being a cost effective and powerful marketing tool for advertisers. With an expected lifespan of around 10 years and repeated brand exposure throughout the day, they are an opportunity simply too good to miss. If you have any questions of queries about branded flash drives or indeed any other promotional product feel free to contact me.